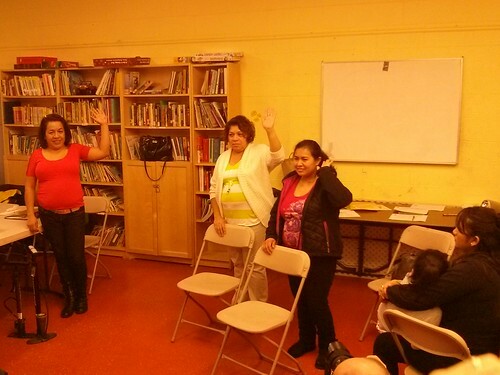 Last Tuesday, members of Andando en Bicicletas en Cully (ABC), a resident-led bike committee at Hacienda CDC, welcomed new members with a party. 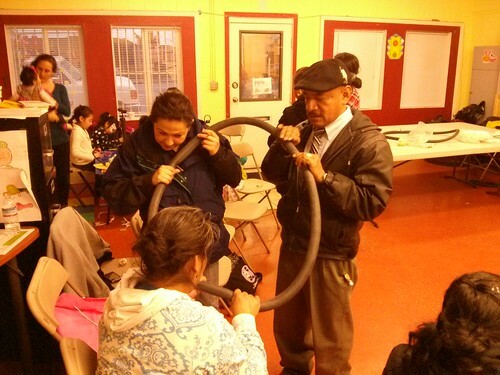 The event was equal parts potluck, advocacy, and basic bike maintenance. ABC connected with leaders from the local, environmental wealth group, Verde, who were interested in learning more about bicycling. Two Create a Commuter program graduates joined in on the fun to connect with other people who ride bikes at Hacienda. Michael Anderson from Bike Portland was there to document the entire event. Check out his write-up over here. ABC’s mission is to unite the community with activities and events to spread awareness about the benefits of bicycling. They also work to inform and support the community regarding pedestrian and cycling safety, and infrastructure issues. With this in mind, veteran members taught new participants the basic rules of how to safely use hand signals while biking. They even learned how to skillfully patch a flat tire. 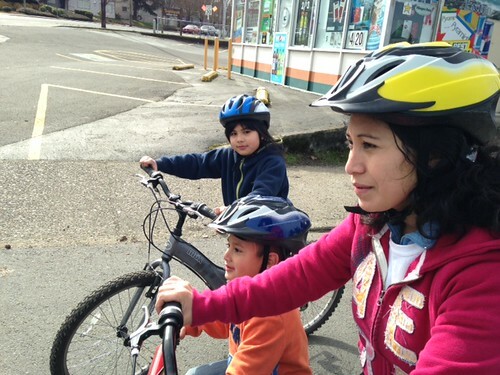 At the party, Susana Pacheco, a leader from ABC, promoted Saturday’s bike ride to Thomas Cully Park. 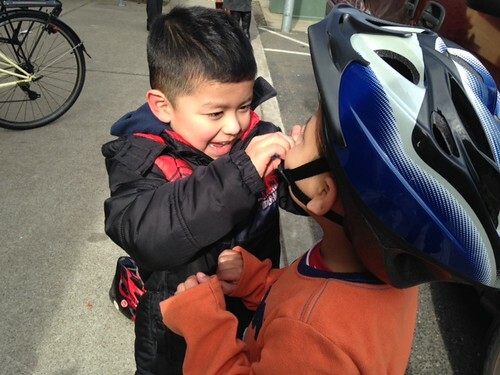 A multi-organization endeavor, Verde organized the ride to find barriers to biking to the new park in Cully, Hacienda recruited families, ABC led the ride, and the BTA supported and lent bikes to community members that needed them. Mud, rocks and holes on the road. Many holes between Cully and 72nd. Trash and glass along Killingsworth Street. The park entrance has many holes. Difficult intersections at Killingsworth and crossing Cully Boulevard at Alberta Street. 72nd. Ave. is not safe and does not have a bike path. 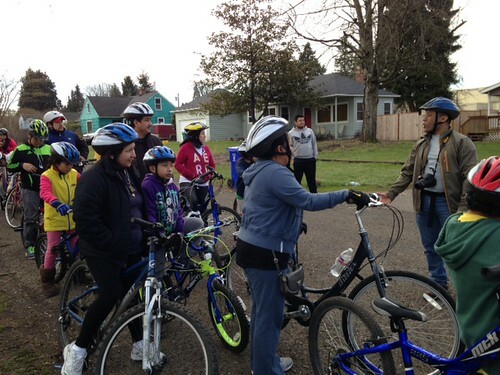 This bike ride was the first of many community rides and walks organized by Verde. They will utilize feedback from community members about the barriers to accessing the park in a report and present it to Metro next year. Members of ABC meet monthly to identify community need for bicycle repair and safety workshops, advocacy opportunities, and more. Their top priority right now is advocating for better bike parking, which is lacking in the older buildings where they live. 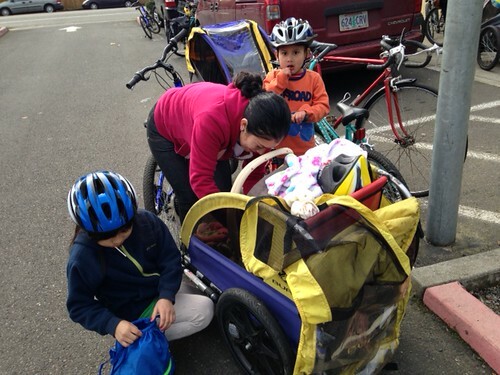 Additionally, they are still seeking donations of baby trailers so that families can go on bike rides with their children. 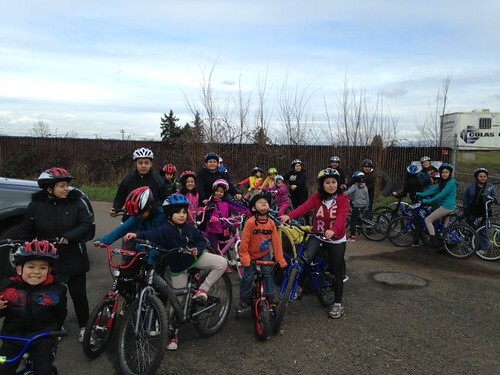 For more photos of Verde’s bike ride to Thomas Cully Park, click here.